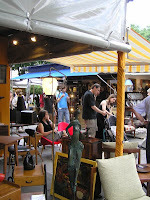 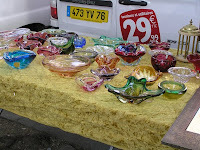 Here are some images from our latest buying trip in France. 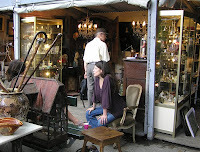 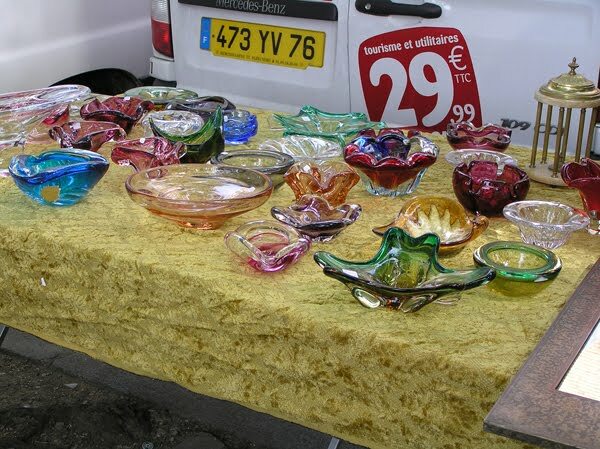 We found this brocante by chance. Beautiful murano glass, perfume bottles, chic furniture - everything was covered! 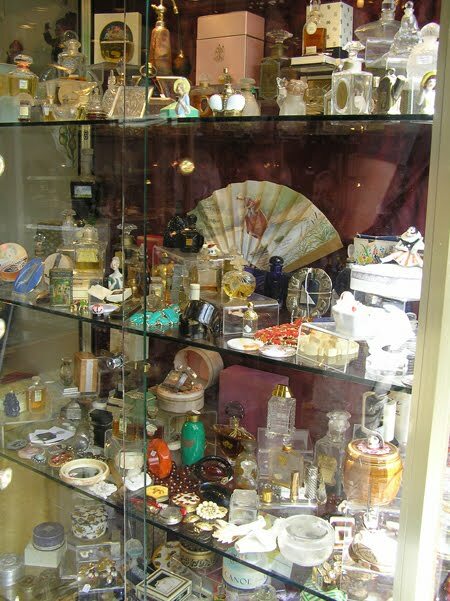 Love the fan in the display case, I have just sourced one for an antique dealer based in South Africa.